Leonard O. Carrillon, age 91 of Carlyle, passed away at his home on Saturday, November 10, 2018. Mr. Carrillon was born in Highland on October 31, 1927, a son of the late Oscar J. and Katie (Boeser) Carrillon. He married Carol Buchmiller on October 27, 1951, and she survives in Carlyle. In addition to his wife Carol, Leonard is survived by his children – Gail Von Hatten and husband Don of Carlyle, Lynn Holden and husband Chris of Huntsville, Alabama, Alan Carrillon of St. Rose, Karen Miller and husband Dale of Carlyle, and Dean Carrillon and wife Julie of Carlyle; a daughter-in-law – Carleen Haselhorst and husband Jim of Carlyle; numerous grandchildren and great grandchildren; a sister – Lucille Schreiber; his in-laws – June Miller, Lindy Lape, Joyce Buchmiller, Louise Haar, Dennis Buchmiller and wife Lynn, Sandy Buchmiller, Val Buchmiller and wife Teresa, and Jane Bircher; and many nieces and nephews. He was preceded in death by his parents; a son – Gary L. Carrillon; a grandson – Nathan Miller; his father-in-law and mother-in-law – Roy and Eleanor Buchmiller; 2 sisters-in-law – Connie Lape and Shirley Tschannen and husband Felton; and 5 brothers-in-law – Leonard Schreiber, Chester Miller, Tom Buchmiller, Joe Haar, and Don Bircher. Mr. Carrillon was a lifelong dairy farmer. He was a member of St. Mary’s Church, as well as the Breese Knights of Columbus, the Clinton County Farm Bureau, Clinton County Historical Society, and the St. Louis Polka Club. Leonard had served on the Wheatfield Township Fire Department. He loved music and had played with the Paul Talleur Band and the Polka Tones. Leonard’s family will always remember him as the best husband, father, grandfather and great grandfather. Funeral Mass of Christian Burial will be celebrated at 11:00 A.M. on Wednesday, November 14 ,2018, at St. Mary’s Church in Carlyle with Fr. George Mauck, celebrant. Interment will follow at St. Joseph’s Cemetery in Highland. 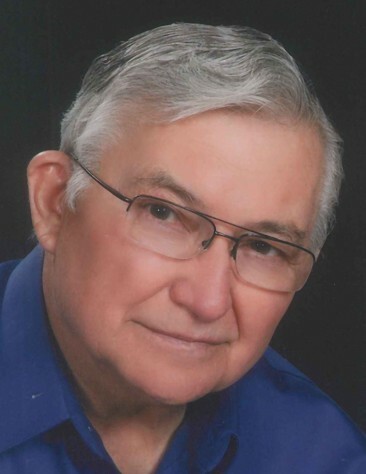 Visitation will be held at St. Mary’s Church on Wednesday morning from 9:00 – 11:00 A.M.
Memorial contributions in his memory are suggested to St. Mary’s Church, Mater Dei High School, or to the Clinton County Historical Society and will be received at Zieren Funeral Home.